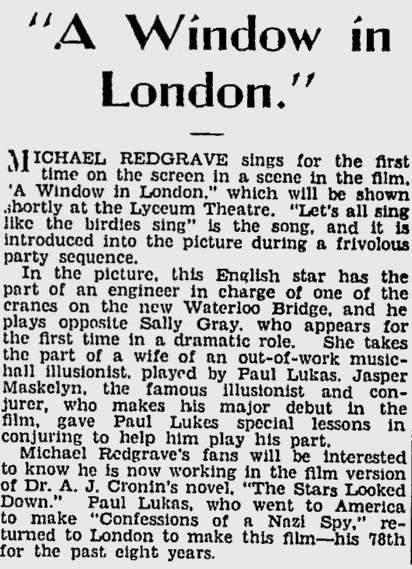 In 1940, Sally Gray co-starred alongside Michael Redgrave, Paul Lukas and Patricia Roc in A Window in London.The fabulous British actress made a great impact in this move playing the unhappy wife and stage partner of an unsuccessful magician named Zoltini (played by Paul Lukas). 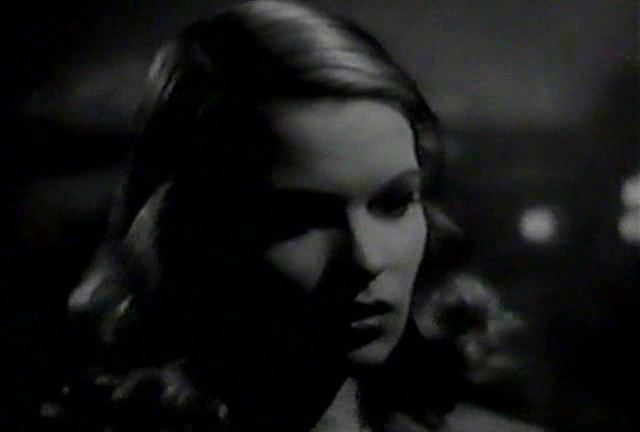 When the unwitting Peter (Michael Redgrave) meets her, he will forsake his pretty wife (played by the lovely Patricia Roc) just to get next to her. Things don't work out according to plan, of course. 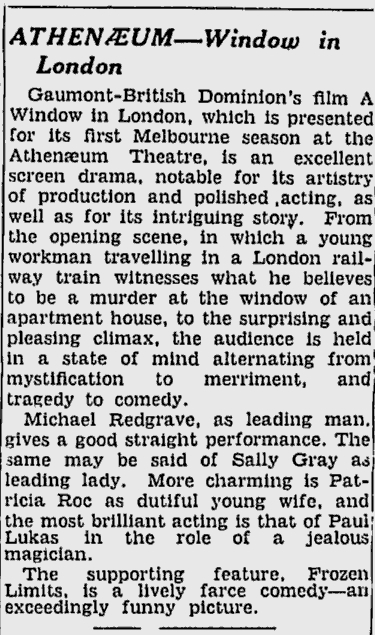 Sally Gray, in one of her first dramatic roles, is perfect in A Window in London. She is visually striking and she does a fine job with with her part in the film, using her husky voice to great effect. 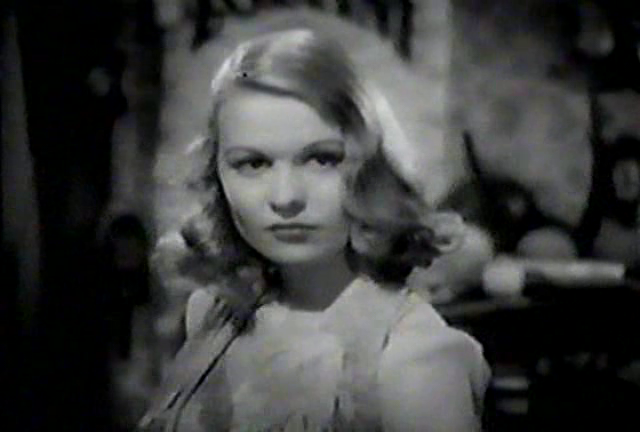 Sally Gray, who had already appeared magnificently in The Saint in London the year before, kicked off the 1940s very nicely here.